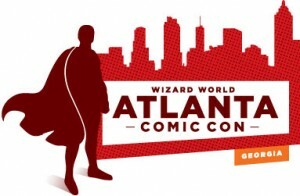 Gareb Shamus announced today that he acquired and will produce the Atlanta Comic Convention, now renamed Atlanta Comic Con Wizard World Convention. Founded in 1994 by 20-year comic veteran Wes Tillander, the Atlanta Comic Convention showcases comics, cards, prints, gaming artwork, videos, toys, manga, anime, statues, new artists, book signings and much more. Tillander will consult on Atlanta Comic Con to maintain the local traditions of the event. Wizard will expand the show from a one-day format to a three-day weekend format, while many aspects of pop culture will continue to be represented. Atlanta Comic Con fans can expect a high-energy show with a festival atmosphere recognized and enjoyed by fans everywhere. Dates and venue will be announced shortly. For information on all Wizard events, visit www.wizardworld.com.